Though it didn’t make number one on my top ten list yesterday, I decided to start with The Last of Us, irony, because number one and two on the list have already had so much coverage and didn’t really show anything new at E3. The Last of Us is set in a post-apocalyptic urban world were the survivors of an outbreak must struggle to stay alive fighting both each other and the infected. 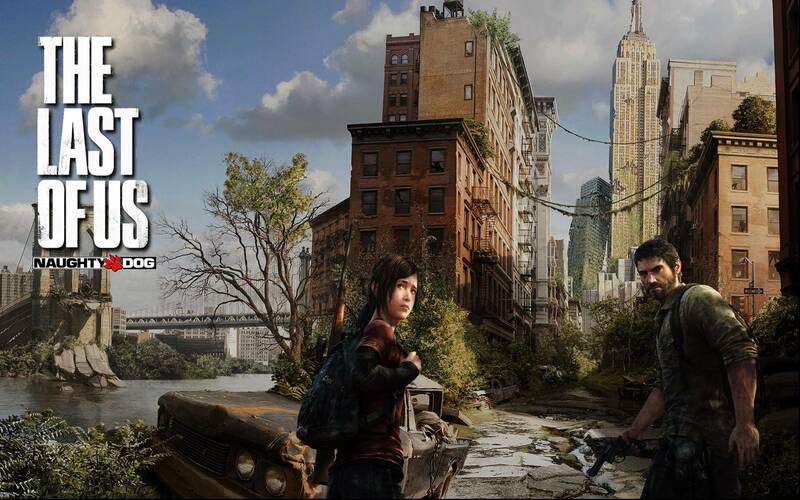 The story follows Joel and Ellie, who aren’t related but share a father daughter type relationship. In this game survival is the key and can be achieved through a number of ways. Players must scavenge to find supplies to keep them alive and defend in case of attack. When other survivors are in the same area you may simply choose to sneak past them and never engage with them, but this luxury comes at a cost. If you avoid conflict then you miss out on the supplies that you would have found on the body after you kill them. People you encounter in the game will also be scavenging and every item they find means that there’s one less for you to get. Characters are designed to feel like real people, which is intended to make it hard to kill them. Not all of the characters you encounter will be bad, but that’s a risk the player will have to take as some will simply try trick you into thinking you can trust them. What Naughty Dog are trying to do, and seem to be succeeding in doing, is to simulate a real life post-apocalyptic world were the player will have to decide if they can kill people or not. It’s a big moral dilemma that is added to by the realistic character ability, meaning that the player will only have the strength and speed of an average human, making each kill a struggle. Infected people are similar to what you’ve seen in various zombie games. In recent years we’ve essentially said goodbye to slow moving zombies and I have a feeling this game will make you miss them even more as the fast moving, somewhat intelligent infected hunt you down. The cause of the infection is a fungus, called cordyceps, that really does exist. In reality the fungus has the ability to affect the behaviour of the insects that host it. In the game this fungus had mutated and now controls human behaviour, after they are dead, creating zombie like creatures. The demo shown at E3, showed an encounter with a group of hostile survivors. This time the player chose to engage with the group and kill them, but the situation could have been avoided entirely had the player wanted. The demo gives a really good feel for the game, which looks amazing. The AI of both Ellie and the hostiles seem extremely realistic. AI sidekicks have a pretty bad relationship, but Ellie seems to be a massive step forward. The idea behind her was to make her an asset to the player so they will actually like having her around. At one point Ellie picks up a brick, holds on to it for a while and then uses it to help when the player ran out of bullets. As well as helping in combat situations, Ellie will also scavenge and bring you things that you might need, like bullets for your gun. The full demo can be seen below, check it out and let me know what you think by voting and leaving a comment below. Also, don’t forget to subscribe and click the like button. This entry was posted on June 9, 2012 by adamodwyer1. It was filed under Games and was tagged with characters, demo, details, dog, e3, ellie, explained, gameply, infected, joel, kill, last, naughty, not, of, or, plot, preview, story, the, to, us.